It’s no secret to anyone that Back4App is making substantial changes in the BaaS market with its new approach: BaaS revolution. We are here to proclaim that now you can bring your Parse Server self-hosting App to Back4App, without any complications. But why should you do that? Here are a few good reasons to consider taking that move seriously. 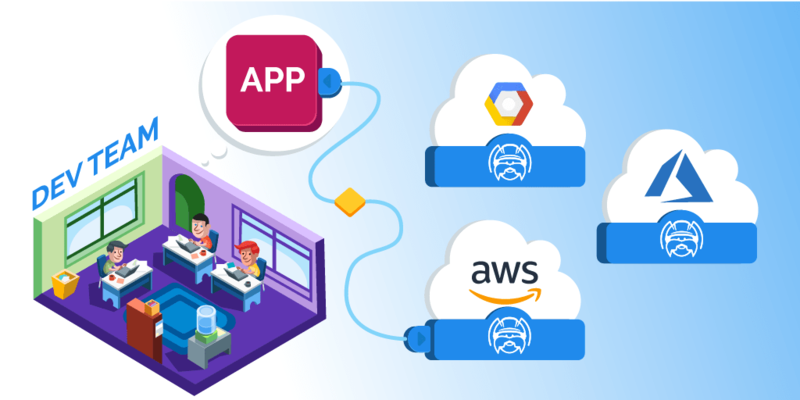 We are pleased to announce that now you can deploy your Parse Server instance on your own cloud (whether AWS, Azure, or Google Cloud) using Back4App. 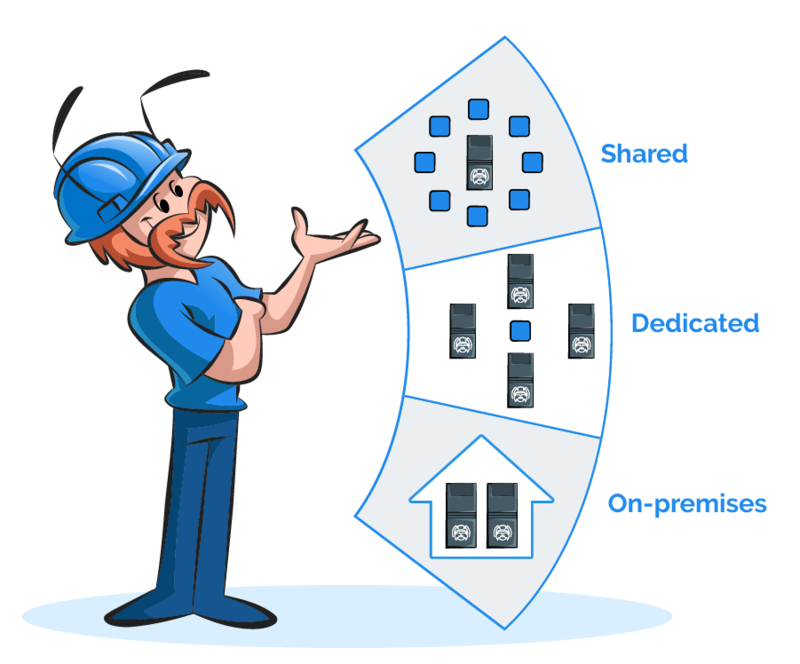 To be precise, you can deploy and scale parse server using Back4App anywhere: our Shared cloud servers, our dedicated cloud servers, or your own cloud servers. Added to that, you can choose any of these approaches and keep using the Back4App platform to manage your Parse Server Instances. This allows you to keep your data on your servers (which is mandatory for some apps) while enjoying the benefit of using all the power of Back4App platform to boost your parse server and make your life easier while deploying, maintaining and scaling. From single developers to enterprise, we have the right plan for you, which will make your business more productive and profitable. You can calculate the cost of a self-hosting solution and compare that with us, keeping into account the gamut of benefits that we offer, which include hourly Backup, 24/7 support team in case you have any problems, engineering cost to set up (AWS specialist, NodeJS engineer, MongoDB specialist) your structure, maintaining your self-hosting structure (NodeJS + MongoDB), optimizing your requests (we optimize each app differently). You can find more details about AWS Parse cost here. If you are using Parse Server on a self-hosting basis, we can help you easily migrate your App to Back4App with no downtime. Our solution creates a synced copy of your current database while copying your Parse Server Config details like files, Cloud Code, Push certificates, and more. To help you get started, we provide you with a quick migration tool which makes it very easy for you to get your Parse App running in the Back4App BaaS, without much hassle. All in all, Back4App helps keep your App running without performing any major changes on your App integration. Our platform comprises a team of extraordinarily dedicated engineers who are ready to help you extract the Best from your Parse Server. We can help optimize your queries, migrate specific Parse Server architectures (in case you’re are using Parse Server on your servers and database on a cloud provider, for example), and migrate from other Parse Hosting providers. We are specialists when it comes to helping you migrate from other solutions that offer you Parse Hosting. And don’t forget our key commitment: our monitoring team is available 24*7 to act proactively and avoid any sort of problems with your parse server solution. At Back4App, we have a distinctive approach; we combine open source technologies with our proprietary features to provide code crackers a unique tool, which not only allows them to build apps at lightning speed but also provides them the flexibility to scale their apps when they become more multifaceted and prevalent. We provide you with a Real-time Database that enables you to subscribe to a specific query, store, and synchronize app data in real time. In addition to that, we provide you the facility to import and export your JSON files using Parse dashboard with a single click. Using our Command Line Interface, you can fluently interact with your Cloud Code from the terminal. And here’s our key facet: our multi-app tenancy feature allows you to migrate, build, and host as many apps you want on your account. Worried about infrastructure issues? No need to worry; we’ve got you covered. We take good care of your server so that you can focus on deploying features rather than tuning kernel parameters. Just if you don’t know, we host our platform on one of the best cloud servers in the world: AWS Servers. Our servers are configured to hourly backup all your data, code, and settings. Migrating is a big step; it considers everything; every change that will be made in order to make the app function as desired. We are here to help you at all. As you can see, Back4App has it all what it takes to take your mobile app experience a notch higher. So, why to waste your time building an old school, self-hosted mobile app when you can actually enjoy a dynamic mobile/web presence without all the hassle of enjoying your own servers. So, without wasting no time, migrate your App to Back4App today and see what it does to your app’s performance. If you haven’t had the chance to use Back4App till now, but are ready to build your next app on this platform, sign up for free. If i can understand, We will be able to host back4app in any Cloud? That mean we will not depend on back4app any more ? ?